Psoriatic arthritis is a chronic inflammatory disease that attacks the skin and joints, causing swelling, stiffness, fatigue and pain that may flare and subside. The autoimmune condition is related to psoriasis, which erupts as scaly patches on the skin. Even those with mild psoriasis can suffer debilitating joint pain from psoriatic arthritis. An autoimmune disease results when the body’s normally protective immune system turns on itself. Persistent inflammation from psoriatic arthritis not only damages joints, but also neighboring tendons and ligaments. A decade ago, the sequencing of the human genome unraveled the twisted strands of DNA to illuminate protein folding, regulatory pathways and patterns of gene expression. Now, researchers are unscrambling the genetic mechanisms that trigger devastating autoimmune diseases. How can DNA help us understand psoriatic arthritis? Pinpointing the location of “enhancer regions” in the genome is vital to identifying genes involved in the release of inflammatory proteins in autoimmune diseases. Using innovative methods to “interrogate” the DNA, he is studying the tightly packed DNA as it loops and curls within the nucleus of a cell. For the first time anywhere, Dr. Chepelev is leading a team of experts at Cincinnati Children’s who will measure activity levels of long stretches of DNA to explore the role of specific genes in psoriatic arthritis. An infection-fighting protein in skin cells—interleukin-23 (IL-23)—spurs unchecked inflammation in autoimmune diseases. Although inflammatory pathways are vital to a healthy immune response, over-expression of IL-23 is linked to the disfiguring and painful effects of psoriatic arthritis. Inherited changes in DNA sequence of the genome have been shown to contribute to disease development. Dr. Chepelev is working to identify changes in DNA sequence that can disrupt the proper functioning of the IL-23 pathway in psoriatic arthritis. 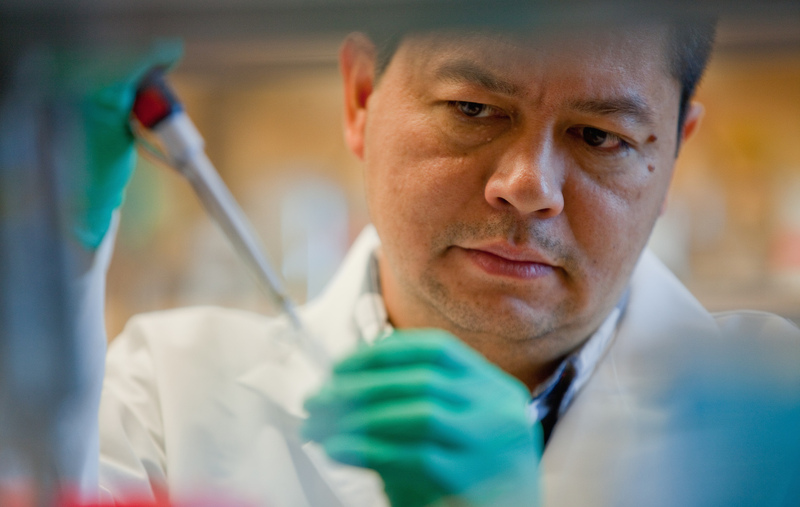 With ANRF funding, Dr. Chepelev’s research team is investigating regulatory mechanisms that might lead to earlier therapeutic interventions for psoriatic arthritis and other autoimmune diseases. Identifying risk factors for psoriatic arthritis may someday lead to targeted treatment options. Want to learn more? Listen in to Dr. Chepelev’s Arthritis Now interview now! To support more exciting research just like Dr. Chepelev’s on psoriatic arthritis please make a donation today! I have a lot of pain.SOME TIMES it is very hard to deal with.I wake up at night ,Every 2 to 3 hrs. hardly any rest..WHAT WAKES ME UP IS PAIN.